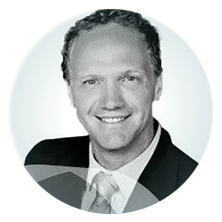 Since joining Microsoft Canada in 2004, Marc Seaman has held the position of national director of corporate and public affairs, including responsibility for leading and managing corporate communications and citizenship across Canada. Seaman is currently a member of the board of directors for the Ottawa Convention Centre and a member of the board of governors for the Ottawa Hospital. He served on the board of governors of the University of Ottawa from 2001 to 2006, including serving on its executive committee and as chair of its communications and external relations committee. He was a member of the United Way Ottawa Cabinet from 2005 to 2007, and was the inaugural chair of its next generation division. He was a member of the board of directors for the Boys and Girls Clubs of Canada from 2006-2009 and a member of the board of directors for Westboro Academy from 2005-2009. Seaman was recognized as Manager of the Year for Microsoft Canada in 2007 and was awarded the J. Elder Award as Microsoft’s Leader of the Year in 2009. His professional achievements have earned him the International Association of Business Communicators (IABC) Award of Excellence for Marketing, as well as the Capitale Excel Award for Communications. He was a recipient of Ottawa’s 40 under 40 by the Ottawa Business Journal in 2007. Fluently bilingual, he holds a bachelors degree in communications from the University of Ottawa.